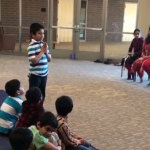 By the grace of the Lord Sri Hari and with the immense blessings of Sri Swamiji, Dallas GOD Chapter commenced Gopa Kuteeram session for kids in Frisco area on Sunday January 18th 2015 at “Krishna Mandhiram”. 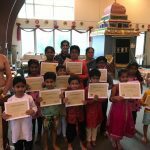 Gopa Kuteeram is now being conducted in Plano and Frisco locations in Dallas. 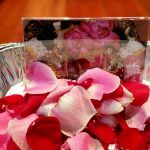 An online Gopa Kuteeram (E-GK) also started recently. 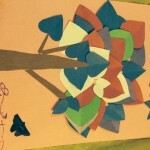 Around 45 kids are benefited by this Life-enrichment program for kids aged 4 – 12 years. 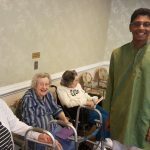 On the other hand, the Plano Gopa Kuteeram kids visited the Sunrise Senior Assisted living center on Monday, February 16th 2015 to share their love with the elders of the community. 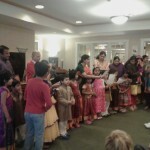 The kids chanted the ‘Mahamantra’, Valentine’s Day and President’s day songs. 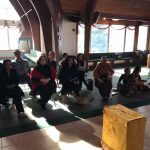 Then, they gave away the valentine cards that they made for the elders and happily distributed cookies and fruits to them. 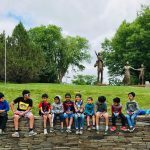 2 Responses to "Gopa Kuteeram in Dallas, Texas"
Would like to enroll my 7 year old son for Gopakuteeram. We stay at Addison and would like to come to the nearest destination. Kindly give me some information on registration. Thank you for your interest in our Gopakuteeram program. Please contact umameyya@gmail.com. Our Dallas coordinator will direct you with more details.